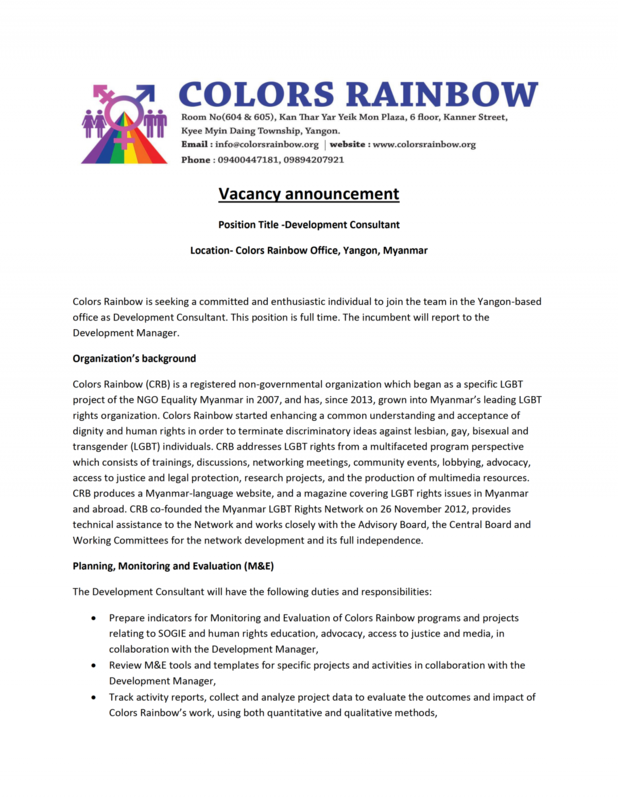 Colors Rainbow’s Education Program seeks to raise understanding about SOGIE and LGBT rights, and also to reduce discrimination and violence against LGBT students in Myanmar’s education system. 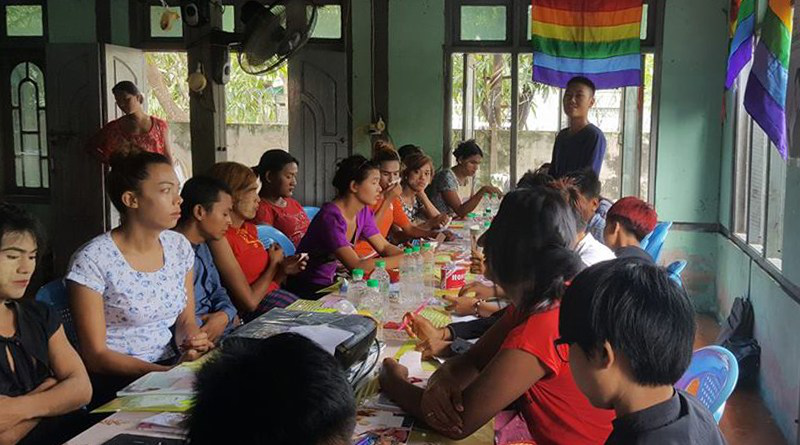 We provide basic and advanced trainings on human rights, LGBT rights and SOGIE for both LGBT and non-LGBT people and organizations across the country, as well as legal challenges for LGBT people in Myanmar, including Penal Code Section 377 and other repressive laws that are used to violate their rights. 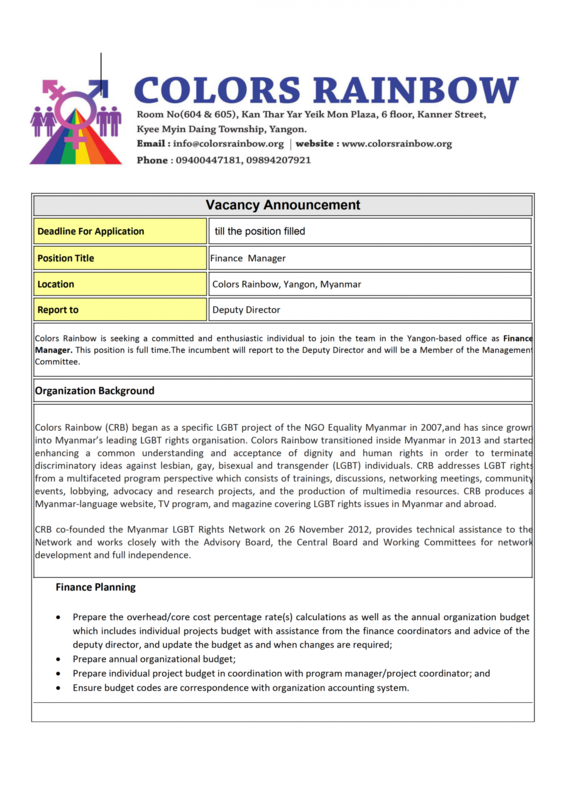 In the last year, we have adopted a Training of Trainers (TOT) model, where we provide in depth training on human rights and LGBT rights, skills for facilitation and community organizing, and administer small grants so that LGBT people can give trainings in their own communities around the country. 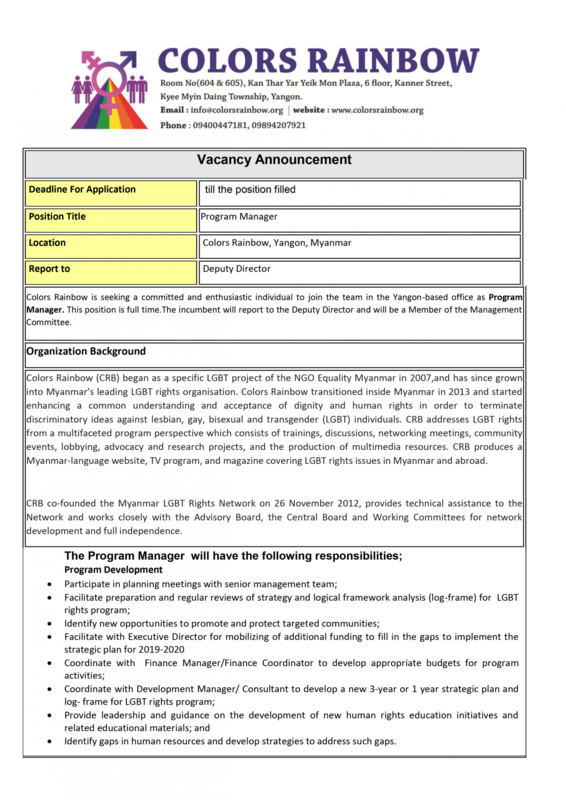 We also provide advocacy trainings to LGBT activists to empower a new generation of spokespersons. In order to reduce discrimination against LGBT students, we are engaging with teachers and school administrators to help them understand SOGIE and LGBT rights, as well as providing trainings to students to understand their own identity or to be allies for LGBT students in their classes and schools. We are also exploring opportunities to amend curriculums to include SOGIE and LGBT rights.